Californian Pizza Kitchen offering a menu with a Mexican twist? Sounded exciting enough to lure me to their Infiniti Mall, Malad outlet. Appetizers, Pizza, Pastas, Some specialties and of course desserts formed the menu. And yes, fresh fruit Margaritas and beverages. Which I decided to skip completely, for a change. Wanted to save my appetite and do justice to the food. Not a very exhaustive menu, but all encompassing the flavours of Mexico. Cilantro, peppers, squash, tomato, avocado, vanilla, cocoa, corn, all beautifully amalgamated in the dishes cleverly by Chef Pranav. The ‘Mexifornia’ menu did sound interesting and appetizing. 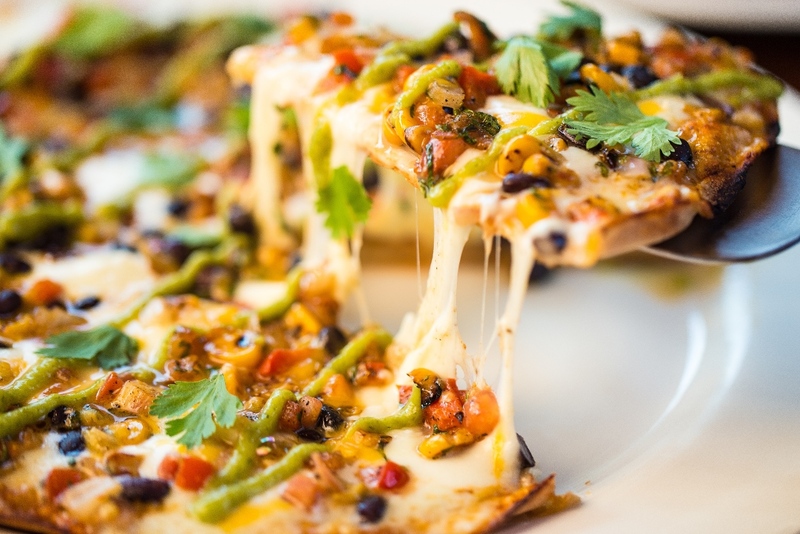 CPK had ensured that gourmets indulge in zesty Mexican Cuisine with a twist of signature Californian panache. And I was ready to embark on my culinary expedition. The Sonora Pizza, a thin crust pizza with a smoky, roasted tomato salsa, roasted corn and black bean salsa garnished with creamy avocado, a snappy jalapeno sauce and a drizzle of cilantro had me in a dilemma, but yet, I settled for the Chicken Asada Pizza- a titillating serving of a robust traditional pizza with a sharp New Mexico chilli sauce with cheddar and fontina- a delicious semi-soft cheese-and shimmering, roasted peppers.And I had no reason to regret my choice. It was a celebration of Mexican flavours. Generous pieces of roasted chicken laced my pizza and the dash of spice and herbs, mercilessly tingled my palate. Pastas although seemed unusual by way of the ingredients and flavours, I decided to stay away from. But the piece de resistance of the evening was unarguably, the Chimichanga. 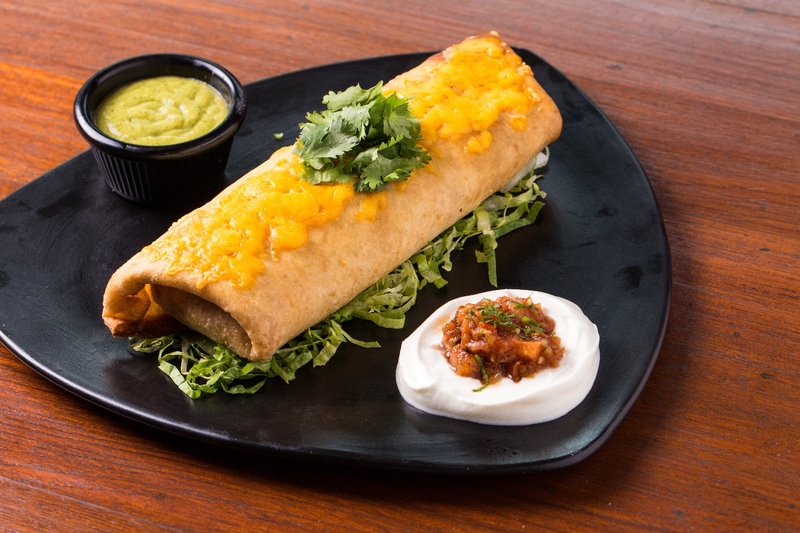 This lip-smacking specialty, a stellar dish of crispy fried wrap filled with California rice, cotija cheese cheese, a bed of shredded lettuce, sour cream and a zesty tomato salsa, rendered me speechless after the first bite. There was a burst of flavours in my mouth. A myriad textures were at play. Easily the best chimichanga I have ever tasted. Absolute value for money. Given these two filling dishes, there was no scope of anything else but the Trio of chocolate mousse, of course. Flavoured with three layers of Mexican white, milk and dark chocolate and with a hint of coffee ,served in its very own chocolate cup, this dessert was unique. It was sinful and decadent as expected but I found the proportion of white chocolate a tad more than the other two and felt it could have been reduced. 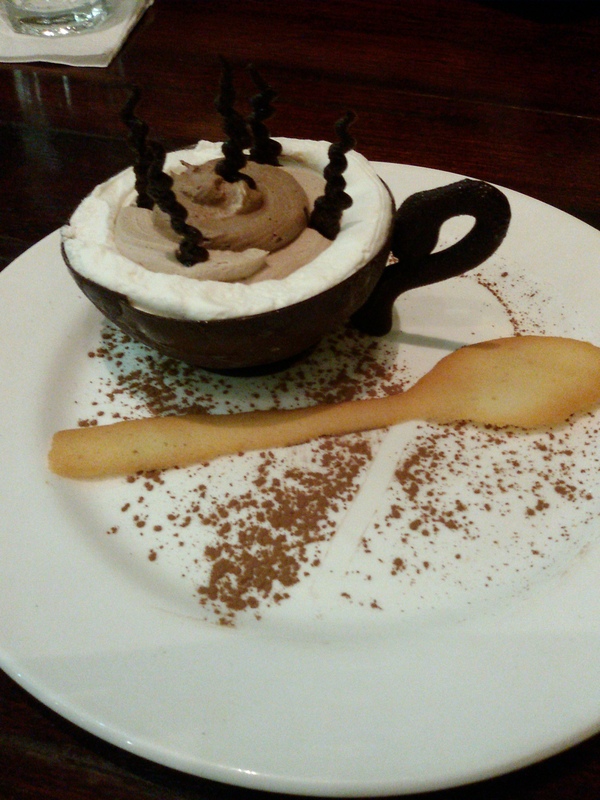 The presentation of the mousse in a cup made of chocolate complete with a spoon et al, bowled me over completely. The chef was truly a master of his craft. There was Mexican Caramel Banana Flan served on a bed of vanilla sponge with great lashings of Banana Cream and Caramel sauce. But alas! we had no place in our stomach for that. On till June 21 at all CPK outlets, across India, I still have a chance of relishing my Chimichanga once more. And yes, many more dishes on the menu worth trying. Good, attentive service, pleasant ambience and outstanding food, made the evening even more special. Dunkin’ Donuts & more…. is Finally Here! 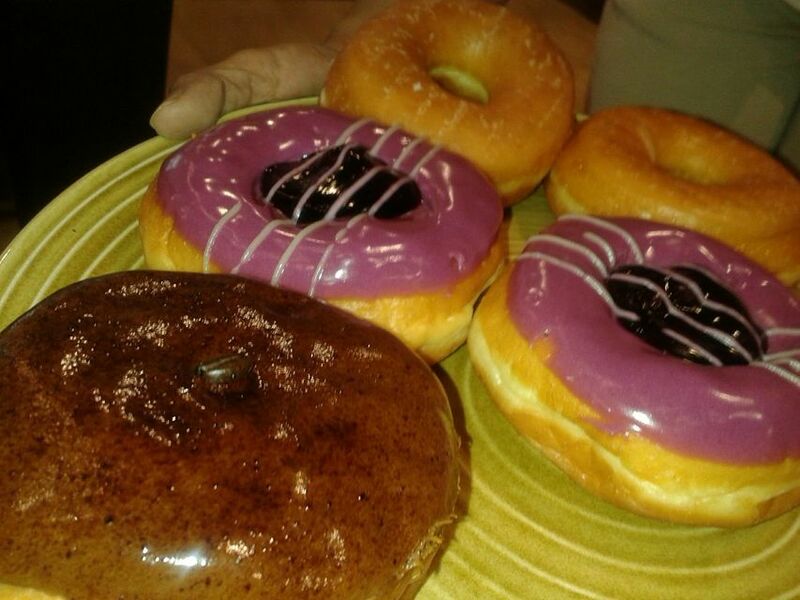 I have waited for ages for this favourite donut brand of mine to enter India and then, my city Mumbai. Today is finally the day when it is here. There is one outlet in Khar on Linking Road and another in Phoenix Marketcity Kurla. My excitement knew no bounds.Even more intriguing was the invite which said an experiential workshop. I was all set. But what I experienced over two hours clearly surpassed my expectations. Both in terms of the information shared and of course the Dunkin’ Donuts & more experience. Their 29 th outlet in India. That really is quite a lot. But I was never initiated into what goes behind the food and beverage planning here. And that was enlightening. Dev Amritesh, President & COO, painstakingly and interestingly took us through a broad but detailed overview. I liked the fact that this brand is intentionally imperfect, twisted, bipolar if you like in its F&B offerings. Adds that element of fun to it. Normal is boring after all. Chef Pedro D’mello and Chef Felix filled us in on the food & beverages respectively. The Heaven can wait burger stole my heart. What a perfect way to juxtapose flavours, textures through usage of ingredients. Sumptuous and filling. The burger bun was unique. Not the usual sesame seed sad bun we normally get. The bread had a ciabatta feel to it. Wholesome and flavourful. And of course the Tough Guy burger transports you to another gastronomical world altogether. The newly launched Wicked wrap was a delight too. Wicked it sure was as there was an interesting contrast of flavours teasing and tantalising the taste buds. The succulent chicken, with the crispy nachos, soft jalapenos were married together beautifully. And yet were so distinct. Equally heart warming was the cappucino. Aromatic, robust, complex and spicy. Yes it had peppery notes to it. Had the perfect cuppa after a long time. 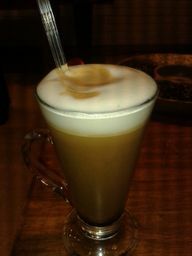 And of course the Stirr’accino is a treat for the eyes and the palate. The spiked ice tea was as refreshing as it was meant to be. The mace, cloves, star anise and cinnamon played their parts to perfection in lending this drink just the right zing. What do I say about the signature donuts? I simply love those. But prefer mine a wee bit warm. Not at room temperature, as many do. Death by Chocolate and Alive by chocolate are my all time favourites. When not in the mood for a chocolate one, try the classic cinnamon one. for fruit lovers, strawberry double delight and very very blueberry are great options too. Had the most wonderful afternoon. There is something for everyone. Value for money, it is worth a visit. I cannot wait to go back again.